MacAdmins is the premier East Coast annual conference for anyone who deploys and manages Macs and iOS devices. The conference was established in 2009 as a one-day event for Penn State employees. As interest grew from outside companies and institutions, the conference was opened to the public. Over the last several years it has attracted over 550 IT professionals yearly from around the world. Over the last several years, each conference has featured 60 sessions and five workshops with top-notch speakers in the macOS and iOS deployment community. The full-day workshops cover in-depth topics like security, device deployment, and career development. The sixty sessions include topics data management, system configuration, programming, and vendor specific software. Rusty is an Apple systems administrator in the Learning Applications and Technologies group at Penn State. He has been involved in systems management at Penn State since 2004. Rusty is responsible for managing the deployment of Apple systems for the public labs at Penn State. He enjoys all aspects of Mac systems lifecycle management, particularly automating processes, and is also interested in implementing ITIL best practices. He is currently working with IBM Endpoint Manager and other tools to maintain lab machines. Rusty also has worked extensively with package creation tools and DeployStudio to automate the deployment of new systems. Dave is the group leader for technology classrooms at Penn State, supporting 240 PCs and 75 Macs in over 360 classrooms. He is the technical lead for Penn State’s student response system as well as the University’s lecture capture initiative. In 2010, Dave helped cofound the Penn State MacAdmins Conference. The annual event, now in its fourth year, brings over 600 Mac and iOS system administrators to Penn State to share knowledge and expertise on deploying and managing Macs and iOS devices. Dave is passionate about photography and vintage computing, with a particular love for Commodore and Amiga computers. 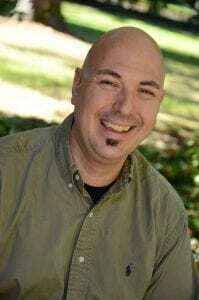 Senior Systems Engineer, Apple Inc.
Brett Gross is a senior systems engineer with Apple, Inc. 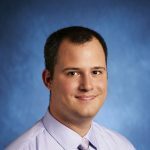 Formerly a sysadmin at a local Big 10 university, Brett has been working with educational institutions in Pennsylvania and West Virginia since 2000. With the rapid adoption of Mac OS X and understanding the need of IT departments, Brett has been presenting on deploying and managing Mac OS X every spring for more than five years. 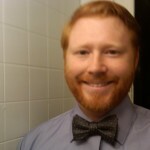 Jonathan is the Manager for Windows Apps and License Management for Classroom and Lab Computing at Penn State. His group oversees the packaging, deployment, and maintenance of Windows applications for all Windows PCs in the ITS labs and Classrooms, as well as the Windows PCs that are part of CLC’s Cooperative Lab Management program. Gretchen has over 18 years experience deploying and maintaining almost anything Apple in a higher education environment. As a Systems Administrator at Penn State, she is working on various projects including mobile device management and managing Penn State’s Apple School Manager. Additionally, she maintains several Linux and Mac servers that provide critical services to the university. Previously, she worked at Oregon State University where she deployed and maintained over a thousand Mac based computers, managed iPad classroom carts, and was a sysadmin for Mac and Linux servers. When she’s not playing with technology she enjoys traveling, family time, and cheering on her alma mater’s basketball teams. Josh, a former Windows System Administrator has fully embraced the world of Mac and the vibrant MacAdmin community. Currently, he works at Penn State for the College of Education where they have a 50/50 split of Macs and PCs. He works exclusively with macOS and iOS devices and designs the management system around these devices. Their goal is to empower their users to choose the software they need and have it “just work” on their device. In his spare time, he enjoys classic and modern gaming as well as quoting famous lines from comedian John Mulaney, although both of these ventures do require prior written permission, signed in triplicate by his loving wife. 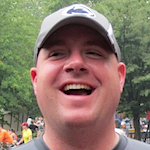 Chris is the IT Consultant for the Penn State Altoona Communications Program and an Apple Systems Administrator for the Classroom and Student Technology Services group at Penn State Altoona. Chris has provided support, consulting and systems management for the Communications Program since 2010. He is responsible for maintaining and managing operations of the Communications program’s TV and audio recording studio, as well as deployment, maintenance, and hardware support of Penn State Altoona’s Apple systems for labs and podiums. Chris is an ACMT (Apple Certified Macintosh Technician) and relishes in working with Apple technology. Justin is one of the founding members of MacEnterprise.org. He has enjoyed working on Macs and UNIX for over 20 years, and as a Mac/UNIX systems admin since 1995. He finished his master’s degree in computer science in 1999 because he loved the torture. 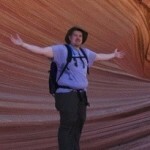 At Penn State, he is the IT manager of the Mac and Linux teams for the Classroom and Lab Computing department in ITS. He is also a software developer and systems admin. He created Blast Image Config, a freeware OS X system image restore utility which is used to build and configured all of the 700+ lab Macs at Penn State. He loves his beautiful wife, handsome son, airplanes, vintage computing, and building retro arcade systems.